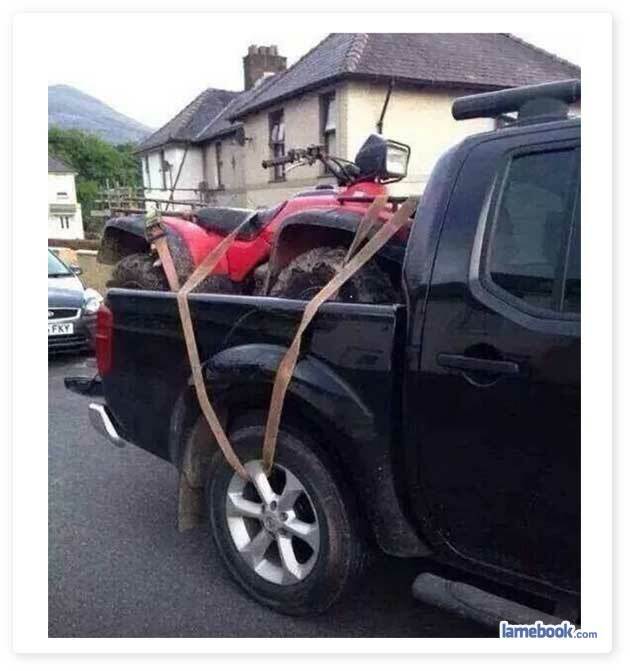 That is why you never ask your girlfriend to put the tie-downs on the quadrunner…. I think you’re stuck. Try giving more gas, that might get you free. Why would you tie it in an obviously stupid manner and then take a picture? Fake.